Aviation Specialties Unlimited, (ASU) has received notice from Transport Canada (TC) that they have received a supplemental type certificate (STC) on the Airbus AS350. ASU modified the AS350 for HNZ Topflight. The modification was ASU’s 208th on this airframe globally. HNZ Topflight’s aircraft that ASU modified for ANVIS is used for police recurrent training programs and military Night Vision Goggles, (NVGs) mountain course training. HNZ Topflight is an advanced helicopter flight training school specializing in mountain flight training, recurrent emergency, initial and advanced helicopter courses. HNZ Topflight is considered one of the best helicopter mountain flying school in the world and has been in operation training military, police, commercial and private operators since 1951. 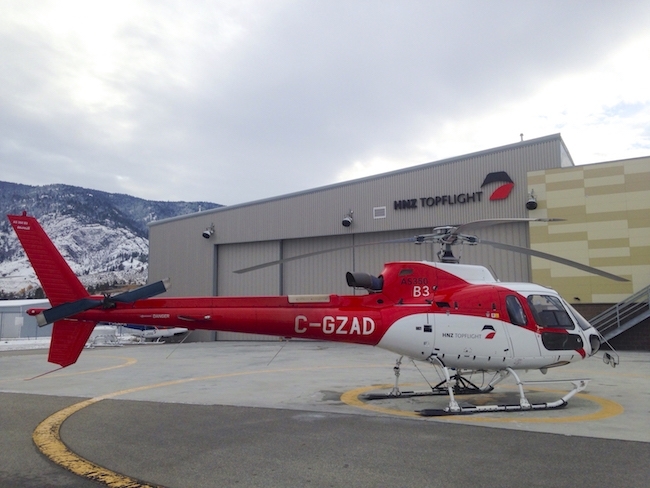 HNZ Topflight is endorsed by Airbus Helicopters and Bell Helicopter manufacturers and has 67 years of accident-free mountain flight training. All training is conducted at their facility in Penticton, B.C.